Marchiori, E (Ed.). (1994). 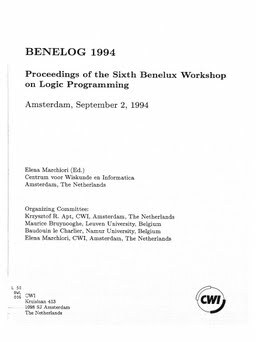 BENELOG 1994 : proceedings of the sixth Benelux workshop on logic programming, Amsterdam, 02.09.1994. In E Marchiori (Ed.), . CWI.